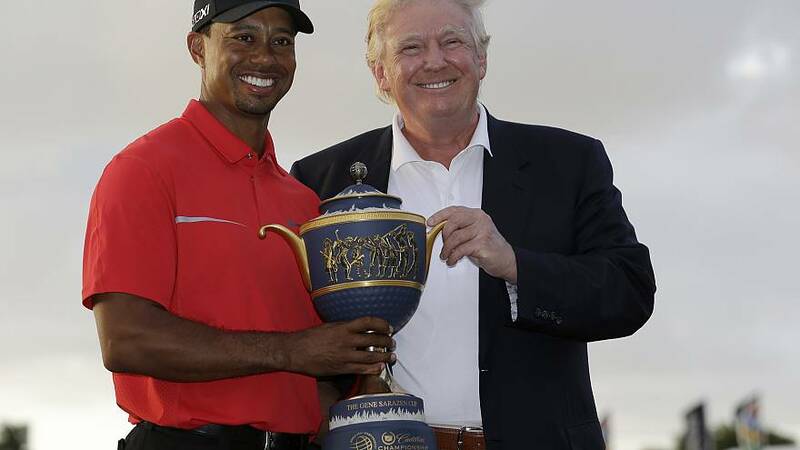 President Donald Trump announced in a tweet on Monday that he would be awarding Woods the medal following his Masters Tournament victory on Sunday. "Spoke to @TigerWoods to congratulate him on the great victory he had in yesterday's @TheMasters, & to inform him that because of his incredible Success & Comeback in Sports (Golf) and, more importantly, LIFE, I will be presenting him with the PRESIDENTIAL MEDAL OF FREEDOM!" Trump wrote. Trump did not say when the ceremony would take place. The president watched the final round of the Masters at Augusta National in Georgia from his Virginia golf club. The victory at one of golf's most prestigious tournaments was Woods' fifth Masters victory and his first since 2005. It was his first major tournament victory since the 2008 U.S. Open and came after a series of back surgeries and personal struggles led many to question whether Woods would ever capture another major title. Presidents of both political parties have awarded the Medal of Freedom to prominent sports figures. Last year, Trump awarded the honor to former NFL stars Roger Staubach and Alan Page and baseball legend Babe Ruth. Before he left office, President Barack Obama awarded the medal to basketball stars Michael Jordan and Kareem Abdul-Jabbar and longtime baseball announcer Vin Scully.